It’s getting close to that time of year again – spring cleaning time! I look forward to being able to open the windows to let the fresh air in, pushing all the stare winter air out. My husband and I each have our cleaning chores that we enjoy (yes, I said enjoy!) – cleaning the windows is one of his. 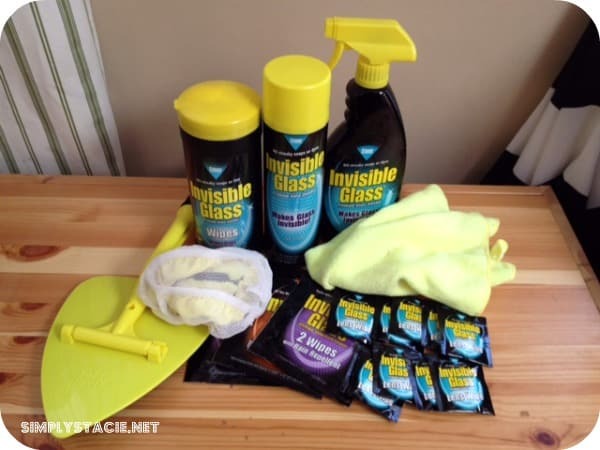 He’s good at it (I always seem to leave behind streaks), so when the opportunity to review Invisible Glass came along, I gladly handed over some the products to my husband to help me try out. 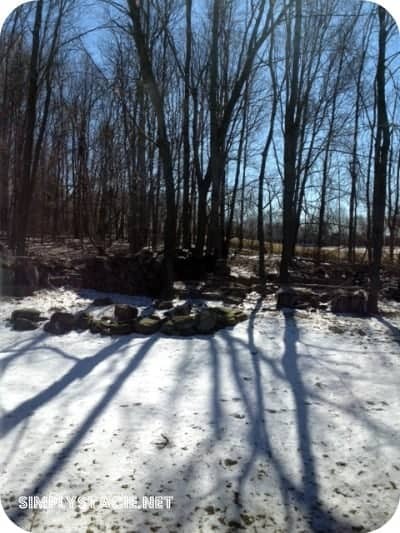 Our home has several glass sliding doors, picture windows, and skylights. We are surrounded by glass! Even the door to my food pantry is glass. So when we received the Invisible Glass Ultimate Glass Cleaning Kit, we went right to work. My husband used the Invisible Glass trigger spray to cover the larger surface of the sliding glass doors. I went ahead and used the wipes on the smaller surfaces of our entertainment center. The outcome – sparkling glass, with no streaking. I couldn’t believe what a difference the cleaner had made – when they say invisible, they mean invisible! Our windows were so crystal-clear; I took pictures from inside my house that look like I was standing out on the porch. The doors to our entertainment center and pantry are the cleanest they have ever been. Aside from the trigger spray and wipes, the kit also included an aerosol spray which was perfect for covering the larger areas of glass around our home. The Reach & Clean tool that was included came in handy for the harder to reach spots of our picture windows. There were also lens wipes – which my husband now keeps in his tool box to clean his safety goggles – and even wipes for the car (windshields and headlights). Invisible Glass really does have a solution for all glass surfaces. It’s engineered with a multi-component formula more powerful than other glass cleaners on the market and it quickly removes oily dirt, dust, fingerprints, sap, bugs, droppings, grease, adhesives, smudges, smoke haze, and other difficult grime. You can find out more about Invisible Glass on their website, on Facebook, Twitter and YouTube. You can buy their products online on their website or at one of their retail partners. The Ultimate Glass Cleaning Kit we received retails for $29.95. Lens wipes for my scopes. I’d like to try the Reach & Clean tool kit! I would love to try all of the products, and the Reach & Clean tool. We live in southern AZ and the dust is ever present. It is almost impossible to really clean the windows. I would love to try the wiper blades too! I’d like to try the Reach & Clean tool. I would like to try the Reach & Clean Tool Kit. I want to try the Reach and Clean Glass Tool Kit. 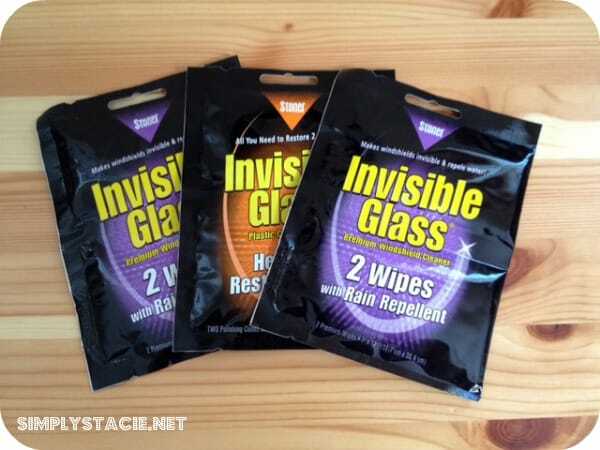 I would like to try the Invisible Glass Wipes! I would want to try Bead Max. I would like to try their windshield cleaner. I’d like to try the wiper blades. I would love to try the Invisible Glass Cleaner. I can never get my windows clean without streaking! I would like to try the Invisible glass spray.